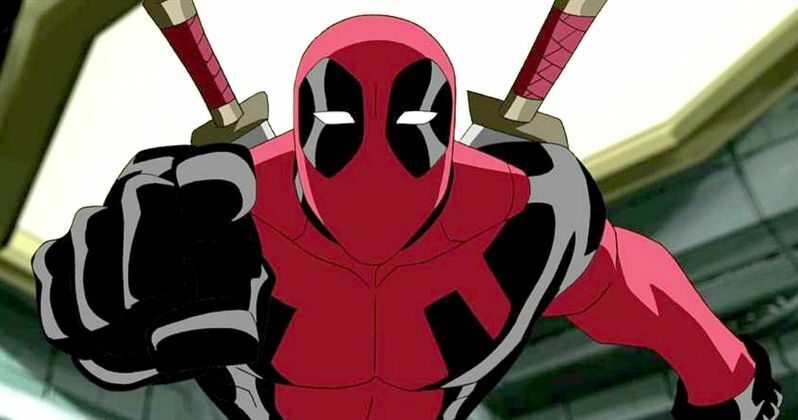 FXX has placed a series order with Marvel Television and FX Productions for the untitled Marvel's Deadpool series, an animated adult action-comedy TV series adaptation of the hit Marvel character Deadpool, it was announced jointly today by Eric Schrier and Nick Grad, Presidents of Original Programming, FX Networks and FX Productions, and Jeph Loeb, Head of Marvel Television. Atlanta creator and Golden Globe Award Winner Donald Glover and Stephen Glover will serve as Showrunners, Executive Producers and Writers of the series. Marvel's Jeph Loeb and Jim Chory are Executive Producers. The untitled Marvel's Deadpool series is produced by Marvel Television in association with FX Productions and ABC Signature Studios for FXX, which has ordered ten episodes for season one. Said Nick Grad. "Donald Glover is an incredibly gifted and versatile artist who'll bring the untitled Marvel's Deadpool series to life with the same intense, singular vision as his breakout hit Atlanta. With the success of Legion, we're looking forward to again partnering with Marvel Television to create a series that is bold, striking and entirely original." "How much more fun could this be? Deadpool, Donald and FX, the perfect fit for the Merc with the Mouth! We're thrilled that our relationship with FX that started with Legion continues with what is sure to be a groundbreaking show in adult animation." Since his debut in 1991, Deadpool has grown to become one of Marvel's most popular characters thanks to his unique blend of humor and over-the-top action. With a rabid following of fans from across the globe, he currently stars in a variety of best-selling titles from Marvel Comics. And the sequel to the hit Deadpool movie starring /super-bowl-commercial-2016-ryan-reynolds-clone-hyundai/Ryan Reynolds is gearing up for production this summer. Donald Glover is the creator, executive producer, writer and star of Atlanta, which was the most critically acclaimed comedy series of 2016, basic cable's most-watched new comedy in three years and the highest-rated comedy in FX Networks' history. Glover himself won the Golden Globe and Critics' Choice Awards and the show took home the awards for: Golden Globe, AFI, Peabody, and WGA and received DGA and NAACP nominations. Season two of Atlanta is tentatively scheduled to debut in early 2018 on FX. Upcoming for Glover includes Jon Watts' Spider-Man: Homecoming, Han Solo and Jon Favreau's The Lion King. Glover is known for his success under the stage name "Childish Gambino." He released his first album, Camp, in 2011. His second album, Because the Internet, was nominated for two Grammy Awards and generated the hit song "3005." His most recent album, Awaken, My Love!, was released in December 2016, debuted #1 on the R&B Albums Chart and is his highest-charting album. Stephen Glover is a staff writer on FX's award-winning series Atlanta, writing four episodes of the series ten-episode first season. In addition to script writing, he also wrote music and lyrics for the show with Donald Glover. Along with writing for television, he also has experience writing for stand-up comedians. Glover also works in music as an accomplished songwriter and performer. Donald Glover is repped by Dianne McGunigle of MGMT Entertainment, WME and Lev Ginsburg. Stephen Glover is represented by WME and Lev Ginsburg.